Since 1957, Dove has cared for women and celebrated their beauty. Now, 60 years later, we are taking another step forward in our mission to help women realise their personal beauty potential and to create a world where beauty is a source of confidence, not anxiety. Each of the women featured in the Dove Real Beauty Showcase is a real woman, with no professional modelling experience. Losing a leg to cancer made Vicki change her definition of beauty. Cammy is helping the next generation of girls find self-esteem and confidence. Jasmine is chasing career goals instead of beauty ideals. Paola is getting more girls to opt-in to sports. Models reflect a narrow view of beauty. Dove believes that beauty is for everyone and therefore features real women of different ages, sizes, ethnicities, hair colour, type or style. Globally 8 out of 10 girls opt out of key life activities when they don’t feel good about the way they look. Dove has a mission to ensure the next generation grows up enjoying a positive relationship with the way they look – helping young people raise their self-esteem and realise their full potential. For over 10 years the Dove Self-Esteem Project has educated over 20 million young people in body confidence and self-esteem and has become the biggest provider of self-esteem education of its kind. We work with world renowned body image experts and leading universities to develop evidence based and academically validated educational tools. To mark the launch of the Dove Real Beauty Pledge, we are looking at real beauty through a new lens; that of renowned photographer and creative director Mario Testino. Famous for taking beautiful and candid shots of women and bringing out the humanity in his subjects, Mr. Testino and his London based creative agency, MARIOTESTINO+, has photographed 30 portraits showcasing the beauty of women from around the world. All the images have been inspired by, and shot, according to the Dove Real Beauty Pledge, and feature 32 real women and girls, aged 11 – 71, from over 15 countries. 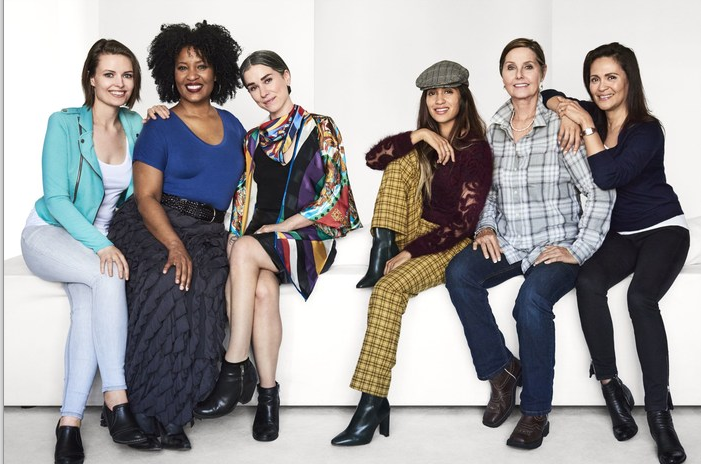 The portraits make up part of the Dove Real Beauty Showcase, celebrating 60 years of Dove, which will be on display in New York City and online for all to see. In 2004, Dove launched the Campaign for Real Beauty – a first-ever campaign featuring and celebrating real women. However, the world has changed rapidly and the very definition of beauty has taken on multiple meanings. Today, we see mothers proudly displaying stretch marks on Instagram, women rejecting the allure of the ‘perfect’ size, and young girls celebrating diversity of skin colour and hair. It’s clear there has never been a more important time for us to re-examine what beauty means and to champion a new broader definition, inspired by the voices of today’s women. In fact, Dove global research found that although 7 in 10 women and girls around the world are proud to be female and embrace it, 71% of women and 67% of girls wish the media did a better job of portraying women of diverse physical appearance in terms of race, age, shape and size. The women featured in the Dove Real Beauty Showcase are all real women who will be introduced to the world by name. Each of them had a say in how they looked in their photographs, and some of the young women featured have also benefitted from self-esteem education delivered through the Dove Self-Esteem Project, a programme created to help girls develop a positive relationship with the way they look and to reach their full potential in life. The women include Vicki, a retired medal-winning Paralympian from the UK who had to change her definition of beauty after losing her leg to cancer; Paola, a football lover who started her own club for girls in her hometown of Mexico City after she noticed many young girls drop out of sports as they entered their teenage years; Jasmine, a young professional who has decided to pursue career goals instead of traditional beauty ideals in her birthplace of China; and Cammy, a young woman who participated in the Dove Self-Esteem Project over 10 years ago, and now passes it on to the next generation of young girls through her public speaking and coaching. In our first year, less than 10 real women were featured in advertisements. In 2016 there were more than 1,000. We have featured real women and girls from the first year of their life to their ninth decade. Stacy Nadeu, who appeared in our first 2004 Real Beauty campaign is now an inspirational speaker on women’s empowerment. The full Dove Real Beauty Pledge and the Dove Real Beauty Showcase will be available online at Dove.com from 2 March 2017.